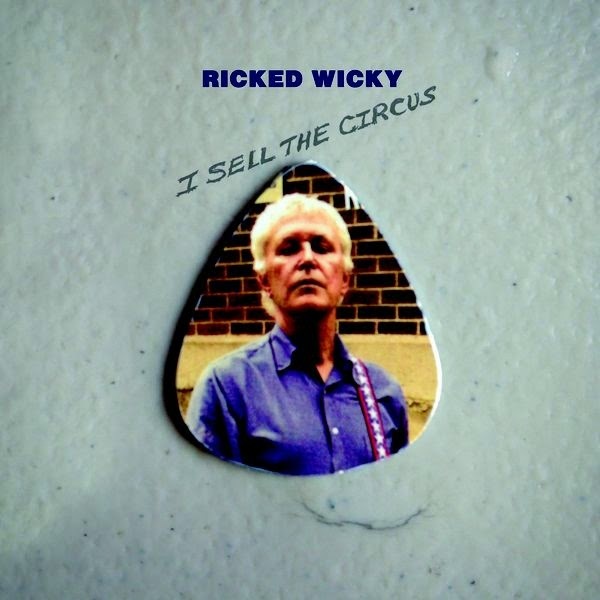 After a spate of decent-to-solid reunion records from Guided By Voices, Robert Pollard returns on February 3rd with the album I Sell the Circus, under the Ricked Wicky moniker. The first thing that strikes you about the new record is the guitar tones, which are much deeper a bass than we usually get from Pollard. That helps turn "Death Metal Kids" into a hypnotizing grind. With "Well-suited" and "Guts" we're treated to some faster-paced power pop, while "Uranus Flies" provides the most infectious refrain on the album. Pollard dabbles with a couple of less familiar sounds. The instrumental "Tomorrow" is spiked with some hot Spanish flavoured guitar. Pollard's vocal delivery on "Intellectual Types" is snotty UK punk with an concealable Ohio accent; think Johnny Rotten meets Greg Dulli. Being a Pollard release, there are of course more songs on I Sell the Circus than are warranted. Not everything is album-worthy. In this case, tracks like "Piss Face", "A Real Stab", "The Important Girl", and the string-adorned "Cow Headed Moon" are among the songs that could've hit the cutting-room floor. However, they are as inoffensive as they are unremarkable. The most welcome revelation on the album may quite possibly be that every single track is more than a minute and a half long! Best tracks: "Uranus Flies", "
I love Robert Pollard, warts and all. A mad genius. Have ordered this album and judging by your review Peter, it will be more than worth the money spent. Your list of "throwaways" is astonishing. All four of those songs are among my favorites. I agree that the throwaway list is just ...unbelievable. Cow Headed Moon is my favorite song on the album, and every other review I've read has mentioned it as as a standout, as well as Piss Face. This is also the 3rd review I've read where it assumes Todd Tobias was involved with production. It's like the reviewers are not reading the liner notes. Tobias only played bass on this album. Nick Mitchell sang the "snotty punk" vocals on Intellectual Types and played all the instruments on that song, and all the keyboards and helped with production.